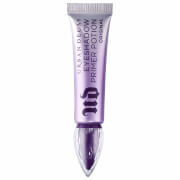 Give your eyes a just-applied look that will last all day with the Urban Decay Eyeshadow Anti-Ageing Primer Potion. 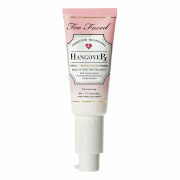 The anti-aging formula glides over eyelids effortlessly to give you all-day, crease-free, vibrant colour. 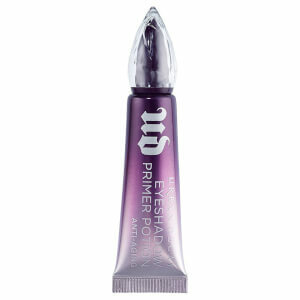 Formulated with advanced polymer technology, the primer fills in any imperfections, preparing lids for eyeshadow application. 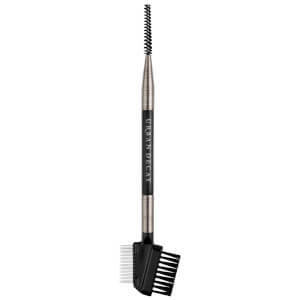 Just a tiny amount, applied before colour acts as an eyeshadow magnet to give you long-lasting, luminous colour. 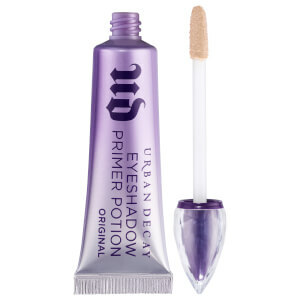 Beautifully packaged in a stunning purple ombre tube with a jewelled cap, the primer can be applied directly from the tube or with the flocked wand applicator. Isododecane, Talc, Cyclopentasiloxane, Trimethylsiloxysilicate, Triethylhexanoin, Oryza Sativa (Rice/Riz) Bran Oil.Trihydroxystearin, Disteardimonium Hectorite, Polyethylene, Sorbitan Sesquioleate, VP/Hexadecene Copolymer, C12-15 Alkyl Benzoate, Dimethicone, Alumina, Caprylic/Capric Triglyceride, Phenoxyethanol, PEG-40 Stearate, Synthetic Beeswax, Propylene Carbonate, Hexyl Laurate, Polyglyceryl-4 Isostearate, Tribehenin, PEG-10 Dimethicone, Stearic Acid, Ethylhexylglycerin, Ceramide 2, PEG-10 Rapeseed Sterol, Alaria Esculenta Extract, Palmitoyl Oligopeptide ,Aqua (Water/Eau). 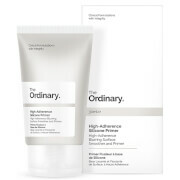 [+/- (May Contain): Mica, CI 77891 (Titanium Dioxide), CI 77491/77492/77499 (Iron Oxides), CI 77163 (Bismuth Oxychloride)].